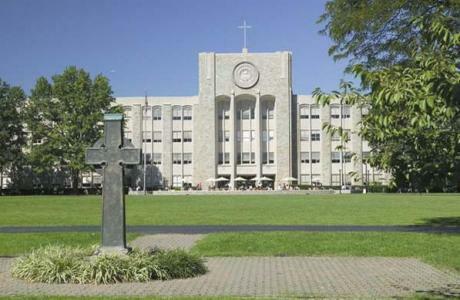 The campus at St. John’s University, located in Queens, NY, encompasses over 100 acres. The quiet, safe, residential neighborhood boasting wide-open green lawns creates the perfect setting for the University's beautiful architecture. 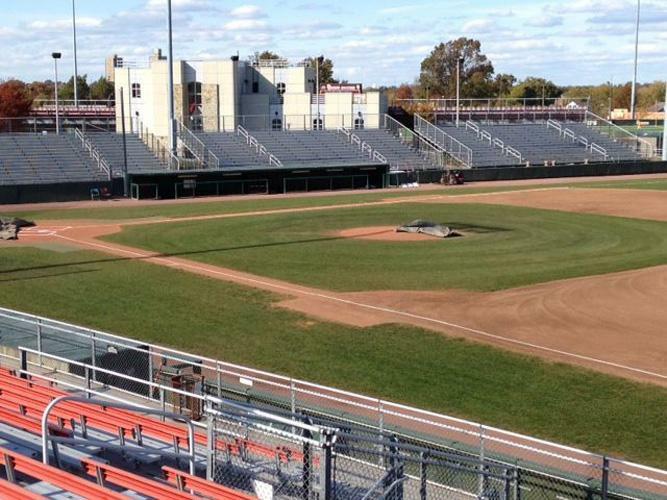 St. John's is truly a blend of the benefits of New York City and the peacefulness of a rural campus. The University lies within easy reach of Manhattan, allowing our guests access to the vast cultural, educational, religious and commercial resources this magnificent city has to offer. 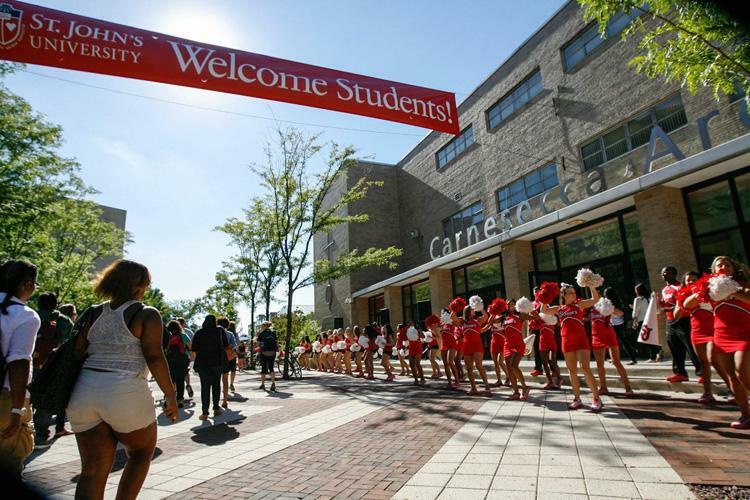 The campus is located a short distance from LaGuardia and Kennedy airports, accessible by public transportation and equipped with parking facilities. 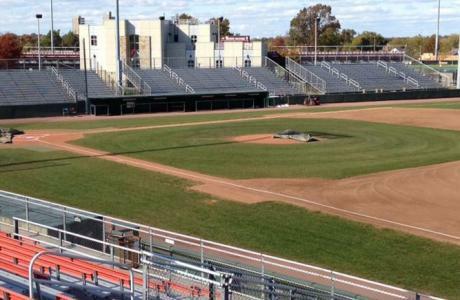 View below for more details on St. John’s University’s incredible conference center and event venue in Queens, NY. 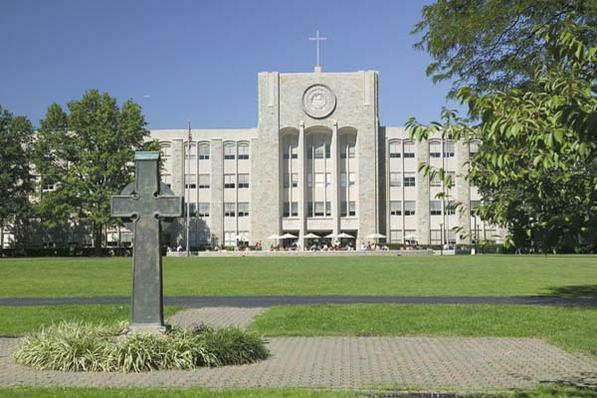 St. John’s campus offers overnight accommodations available from June to Mid-August of each year. 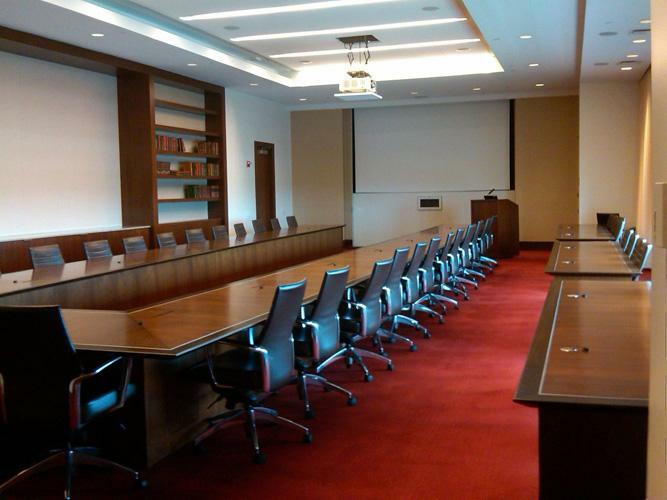 All meeting and classroom facilities are available for usage year-round. 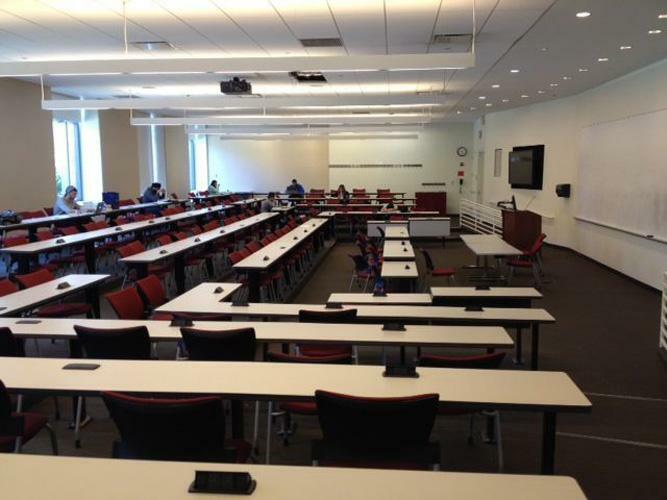 STJ offers large computer labs, technical support classrooms, meeting & event facilities with audio/visual and internet capabilities. Free WiFi available. 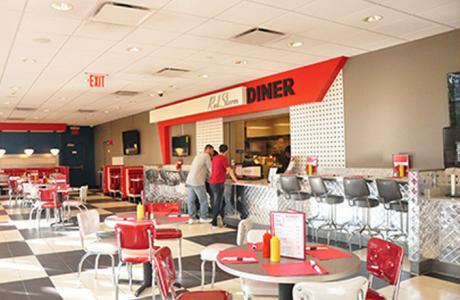 Our local Queens dining service is available for your meetings and events. Our menus range from breakfast setups and box lunches to formal receptions and dinners. Rates may vary. Single, double, triple, suite and townhouse style accommodations are available. STJ accommodates many groups who are very diverse in nature. Bent Hall 101 A, B, C	 Rooms A, B & C can be combined for classes, lectures and meeting for up to 348. Bent Hall 101A	 This room has a capacity of 126 in 13 rows of seating with convertible desk tops, cushioned seats, screen, three 19' white boards. Bent Hall 101 B & C	 Each of these rooms can accommodate up to 111 in 15 rows of seating with three 19' white boards, convertible desk tops and cushioned seats. 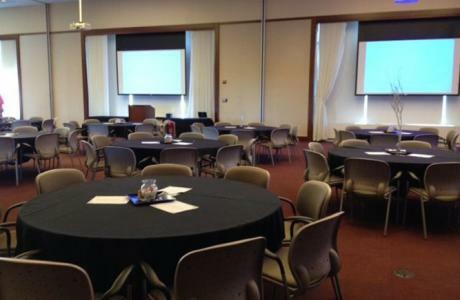 Bent Hall 277 A & B	 Two rooms with total capacity of up to 150 with catering set up, 125 dinner set up. The rooms are carpeted and have an adjacent kitchen. These rooms may be split into two rooms, each accommodating up to 75. 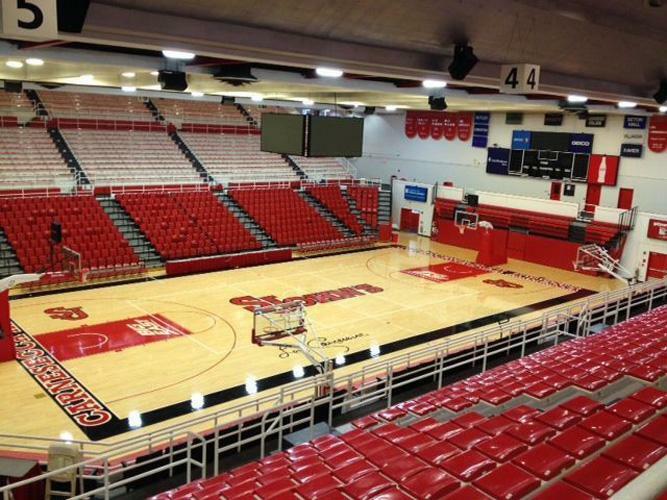 Carnesecca Arena	 The arena can accommodate up to 6,253 floor seating and features tape and CD players built into the sound system. 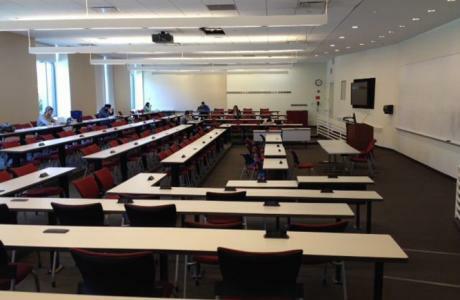 Carnesecca Arena President's Room	 This room accommodates up to 84 lecture style and 70 banquet style. 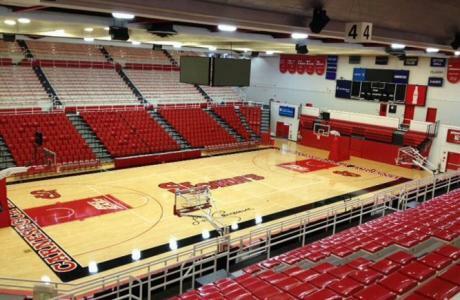 Carnesecca Arena Little Theatre	 The Little Theatre can accommodate up to 411 and features stage and screen, Baldwin upright moveable piano and graduated seating. Marillac Hall	 Marillac Terrace contains 3 rooms and an outside area with a total capacity of 600 lecture style and 450 banquet style with tables for 8. Marillac Hall Auditorium	 The auditorium has a seating capacity of 600, air conditioning, sound system, concert grand piano. Donovan Hall Community Room	 The Donovan Hall Community Room is available for conferences during the summer. Montgoris Dining Hall	 This dining hall is available for summer conferences with a total capacity of 645. 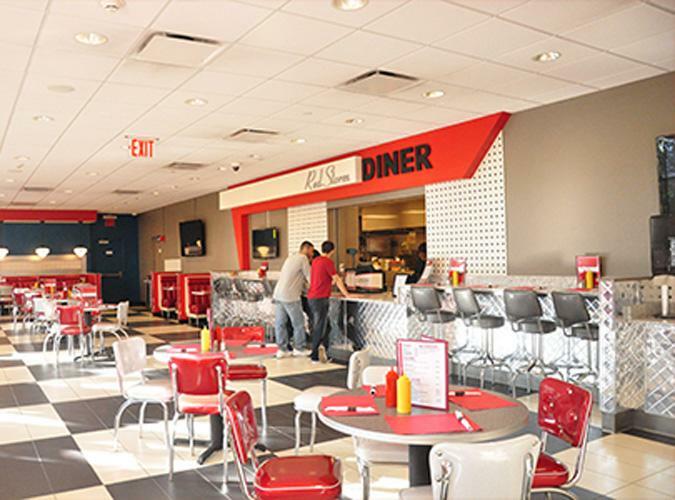 The first floor can accommodate up to 350 dinner style and the second floor can accommodate up to 70 dinner style. St. Albert Hall	 Two auditoriums with seating capacity of 150 each with graduated seating, moveable seats, Proxima Projector, Network computer for PowerPoint, VCR, DVD, sound system with 2 microphones, mounted stationary podium and set up for laptop computer with internet connection. 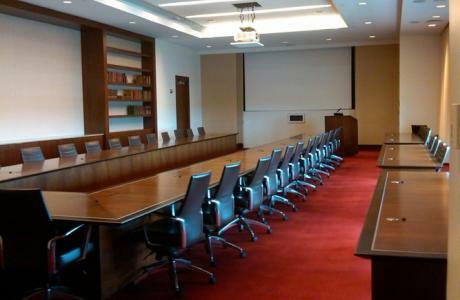 Meeting Rooms	 Conference rooms, lecture auditoriums and air-conditioned classrooms equipped with audio-visual technology are available for groups up to 5,500 people. Catering services are available that range from boxed lunches to group barbecues. The Dining Hall is available for small gatherings or elegant banquets. Breakfast, lunch and dinner meal plans are available and special dietary needs can be accommodated. 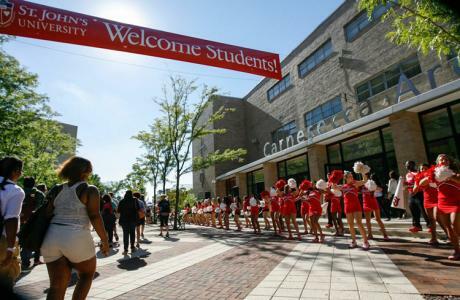 Fitness Center	 The Fitness Center is located in the Carnesecca Arena and is equipped with stairmasters, treadmills, stationary bikes, various abdominal exercise benches, dumbbells, ellipticals, life fitness pin loaded machines and plate loaded free weights. Transportation	 The Queen's campus is located within close proximity to trains, buses, subways and JFK and LaGuardia airports. 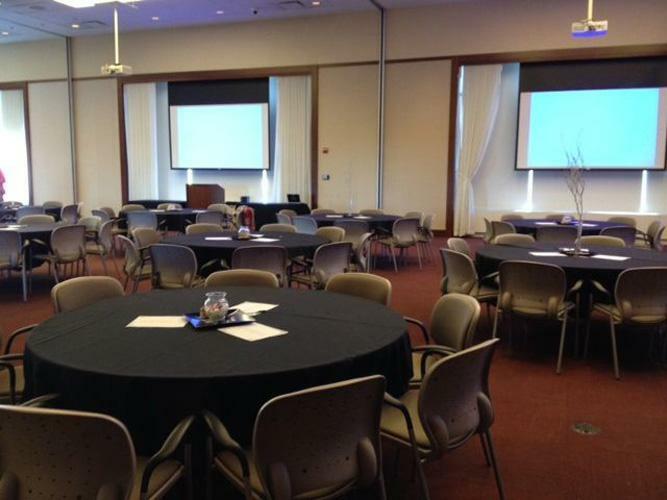 Conference Services Staff	 We will work hand-in-hand with each of our clients to facilitate your event setup. In addition, a member of our team will be on the premises the day of your event to ensure its success. Audio/Visual Services & Equipment Microphones, projectors, laptops, TV/DVD/VCR, and flip charts are available for daily rentals and overnight groups.